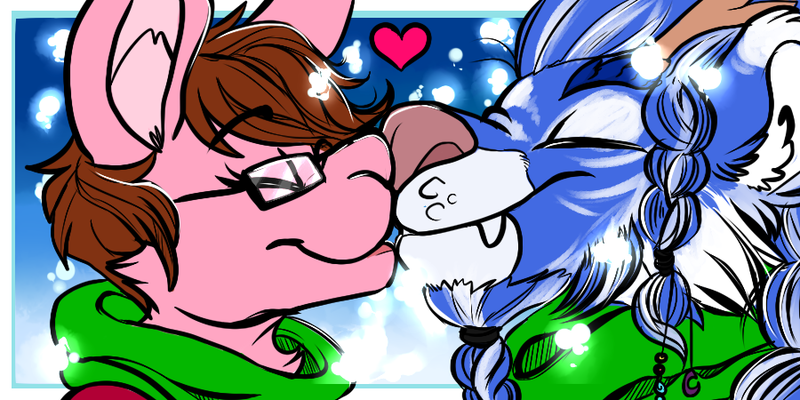 C // Smoochie snow icons! Originally Submitted to FurAffinity.net on Dec 23rd, 2014 12:03 AM. Before it was transferred to Inkbunny it had 56 views and 3 favorites. They also wanted a soft blue snowy background, so I was like aaaiight I can get snow and stuff. LEASE DO NOT ALTER, STEAL, OR TRACE THIS ARTWORK, ONLY THE COMMISSIONER(S) HAVE PERMISSION TO UPLOAD THE ARTWORK.